Julia is an iteration of one of our most popular bouquets, Nicole. 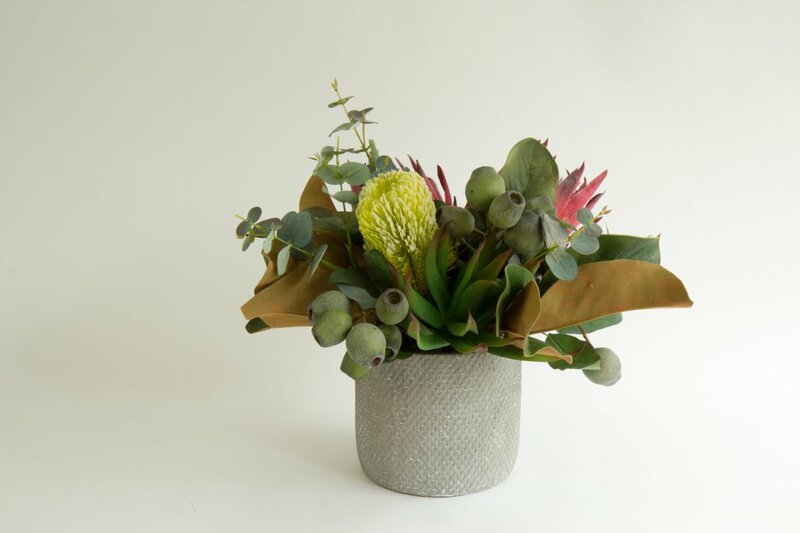 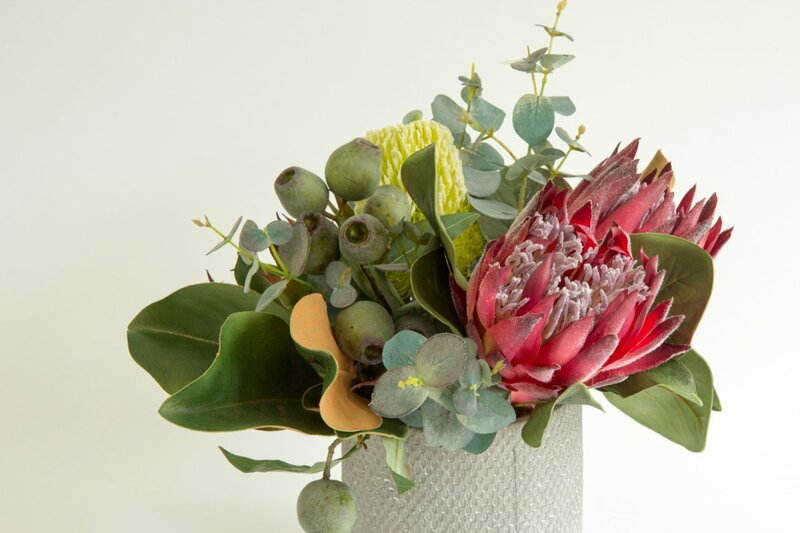 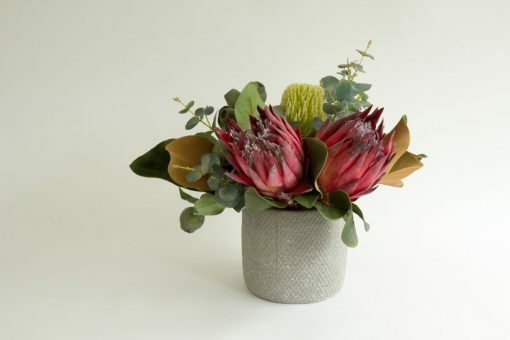 Lashings of exquisite native stems arranged in our textured grey pot to give you an indulgent, incredibly lifelike and timeless statement piece. 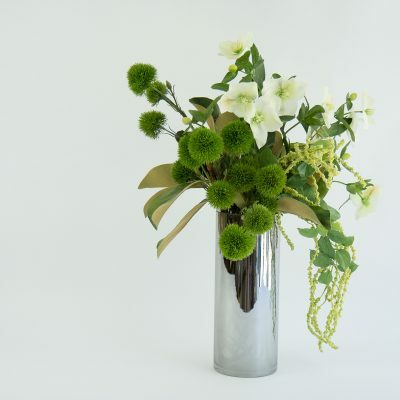 Julia’s pot base diameter measures 16cm and her stems extend approximately 40cm high and wide. 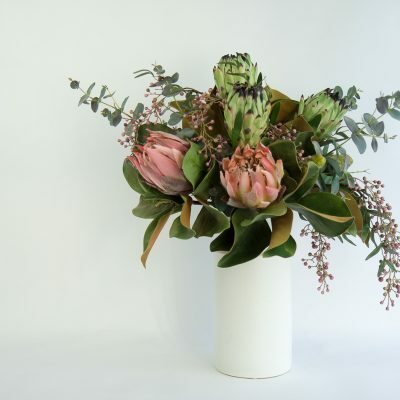 Beautifully presented with handwritten stationery and of course our signature Secret Blooms wooden seal of authenticity. Whilst every effort is made to illustrate the product’s true likeness in our photos, there is likely to be some minor variation in the appearance of your product as a result of blooms being individually made and hand painted.